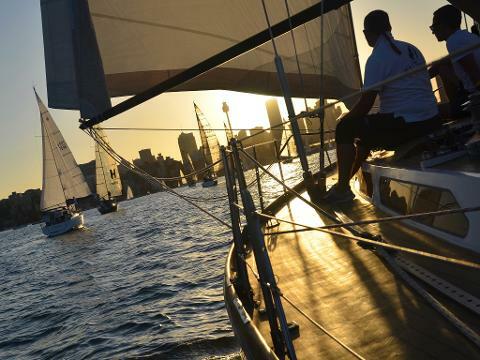 Come Twilight Racing with Pilgrim Sailing on Sydney Harbour. 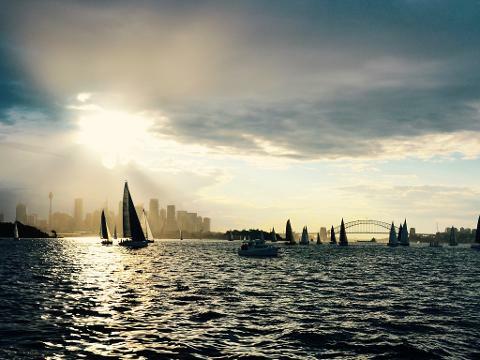 An amazing way to see the harbour in a different light. 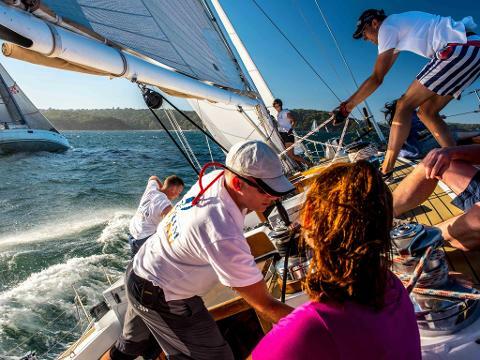 Pull ropes with the crew or just watch it all happen around you!! 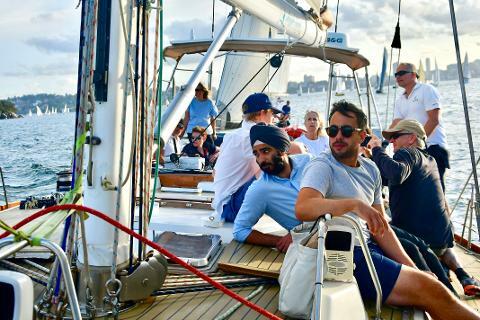 "Pull ropes" with the crew or relax and watch it all happen around you! 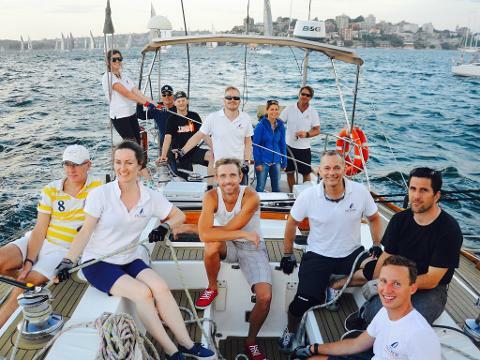 Come twilight racing with Pilgrim Sailing on Sydney Harbour! 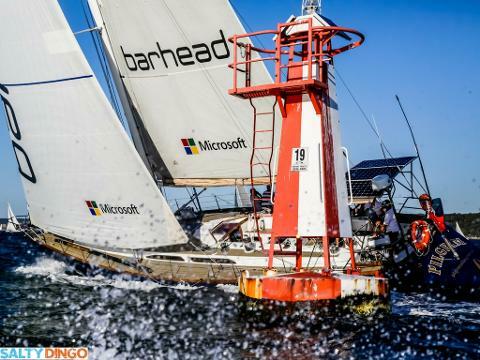 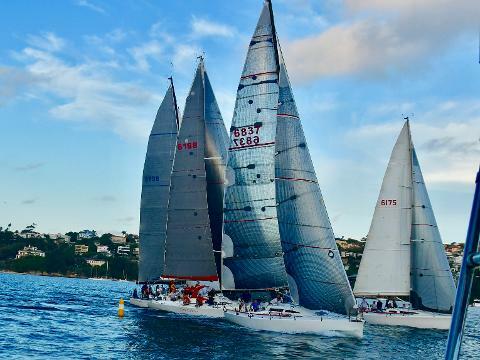 During the summer months, Pilgrim races twice a week in the twilight yacht races on Wednesdays and Fridays around Sydney Harbour where up to 100 other boats can be competing! 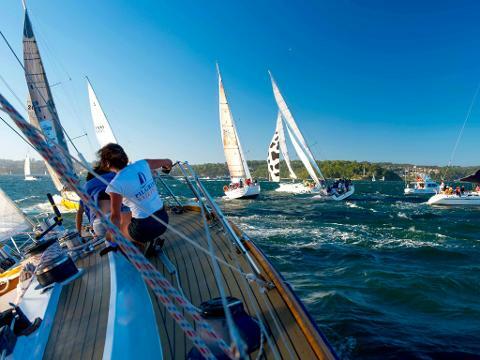 The races are a great way to enjoy Sydney Harbour in a very different way and a fantastic introduction to sailing. 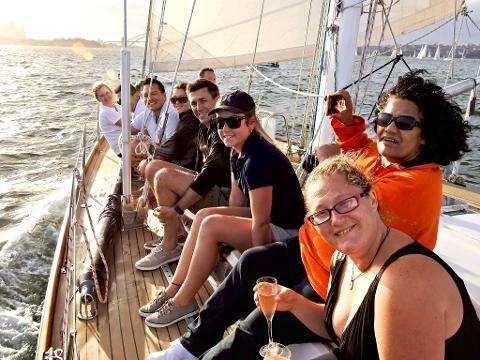 You can join the crew on the beautiful 58-foot yacht. 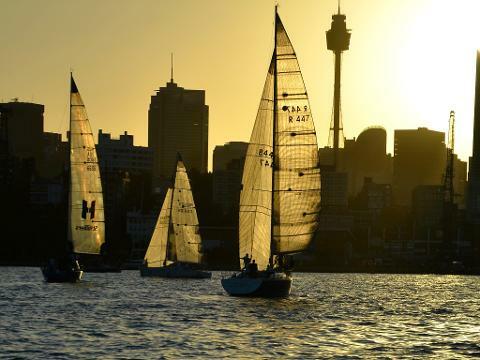 Either sit back and enjoy the stunning harbour at sunset or help sail the boat. 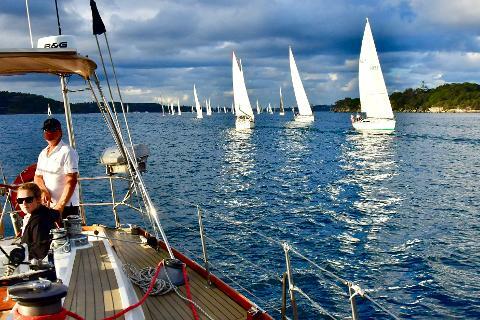 Basic sailing instruction is provided (no sailing experience is necessary). 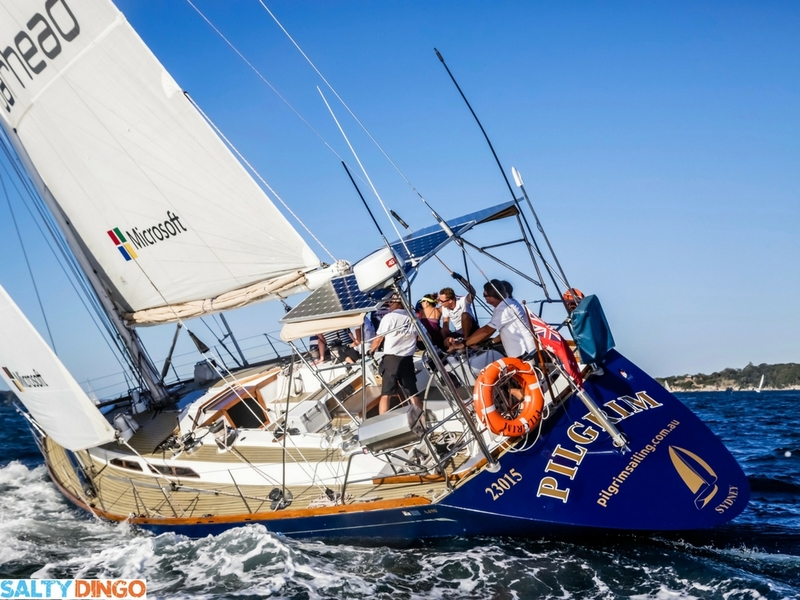 The regular Pilgrim crew will pull ropes, tacking and gybing Pilgrim around the course. 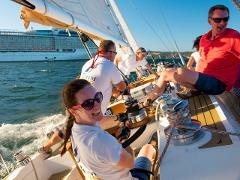 Guests are encouraged to get involved and will be given all the instruction they need for the race. 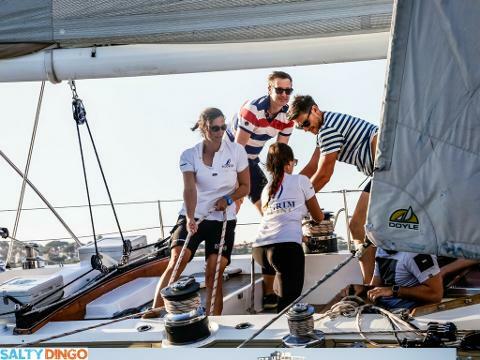 The crew are there to try and win and also to make sure that everyone on board has a great time - you'll feel part of the crew by the end of the race! 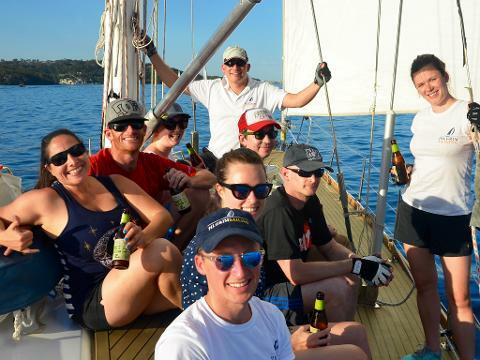 After the race or on the downwind leg, you'll enjoy a beer or wine (included) as the sun goes down. 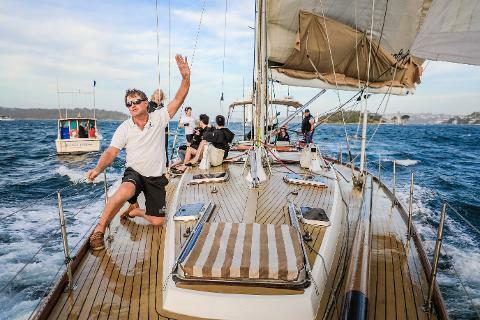 Note: If you're looking for a very relaxing sail, this is not guaranteed on the Twilight Racing (especially on a windy day). 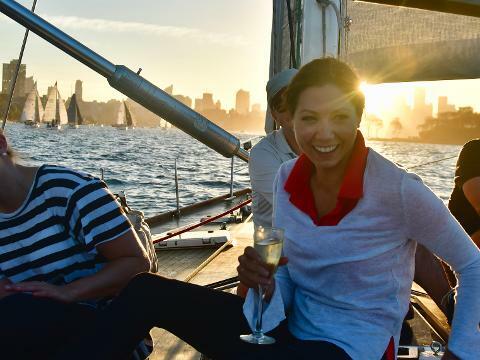 Maybe our #Sip&Sail Twilight Cruise is more suited to you? 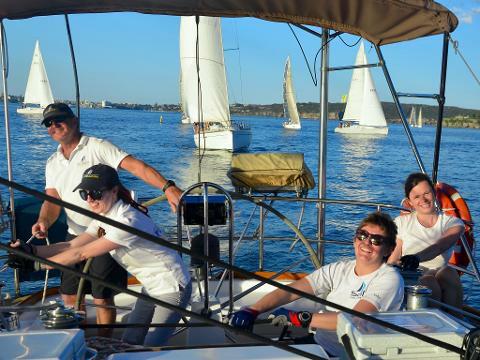 The Twilight Racing season runs from early November to early March and fills up fast so book in quick if you want to jump on board. 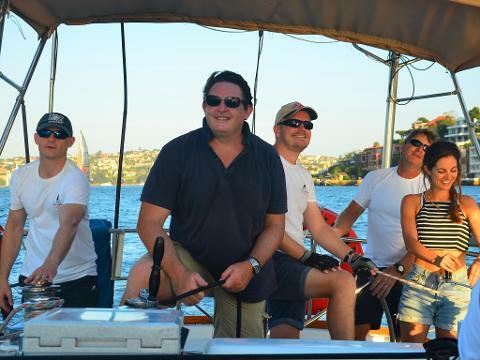 Departing from Rose Bay Public Wharf, ROSE BAY at 5 pm SHARP. 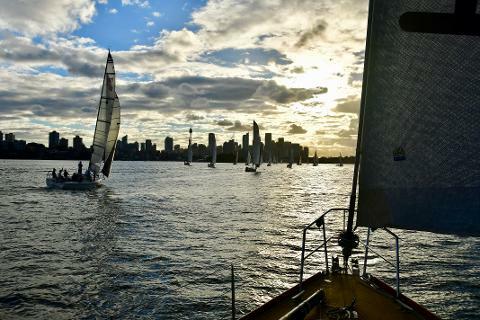 Please be ready on the wharf by 4.50pm at the latest. 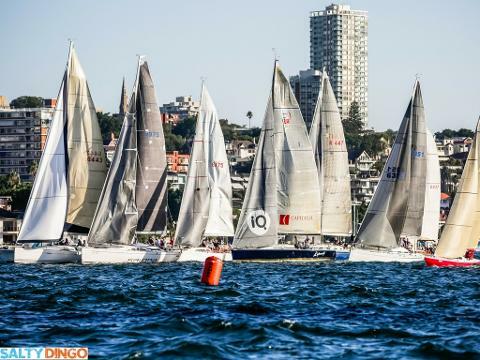 Rose Bay Public Wharf is next to the Rose Bay Ferry Wharf, Lyne Park off New South Head Road. 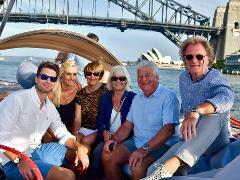 Please arrive promptly so we depart the dock on time and don't keep other guests waiting. 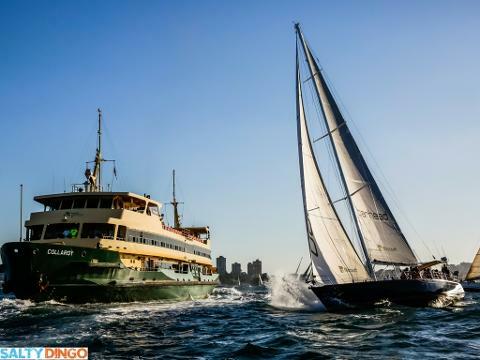 After the race, Pilgrim will return to Rose Bay around 7.30 pm to 8 pm (depends on the wind). 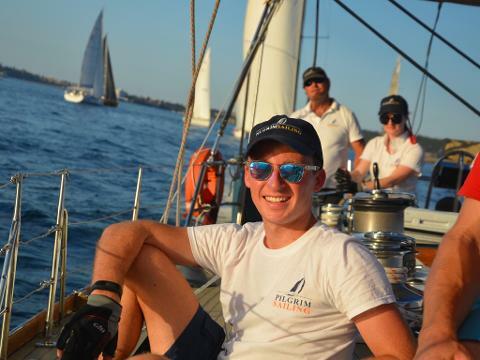 Tamburlaine Organic Wines is a proud partner of Pilgrim Sailing. 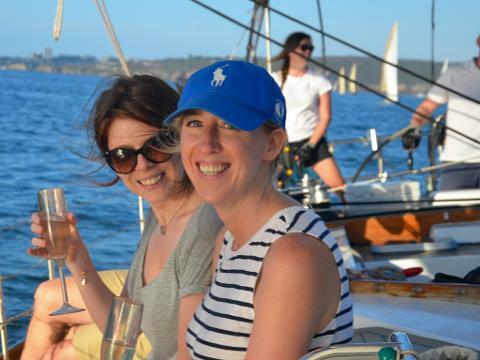 Tamburlaine wines are the perfect accompaniment to a sail on the harbour.